When you become a Furniture Medic business owner, we ensure that you have the knowledge, skills, expertise, tools & equipment appropriate to enable you to deliver your trade within your bespoke Furniture Medic territory. Where possible, we will work with you to carefully create a territory. Our territories are determined by population and demographics to market and build your customer base. They are not built on a mile radius which could see you having a huge territory with little in it, they are built on the business and consumer demographics within, to ensure that with a small % of market penetration that you can grow a sustainable furniture repair and restoration business. 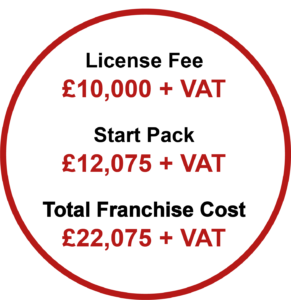 As a new business owner, as well as the training academy, you will benefit from our new business starter pack. This includes the tools, equipment, materials and products that you will need to get you started. This also includes branded business stationery, uniform and our exclusive business software. A full new business launch is included within your starter pack and as well as PR, you will receive some pre-paid on and offline advertising to promote your new business. This is planned with you on your academy so that we can work together to create a first year marketing plan for your new furniture repair and restoration business. Whilst on academy we will also work with you to update and populate your local web pages which are included as part of your franchise fee. You can have up to 10 individual pages and at present, all of our local Furniture Medic pages are on page 1 of Google for their local search terms. A FULL branded van wrap is also included, all we need you to source, is your van. The van wrap is completed whilst you are on your academy so there is no waiting time for you to get on the road. We have an excellent reputation for supporting franchisees which puts us in the pedigree class in terms of major banks. They currently offer up to 70% financing of the initial fee and equipment package, subject to credit approval. A business plan will be created on your behalf and presented to at least 2 major banks of your choice to raise the necessary finance and working capital, should you require it.